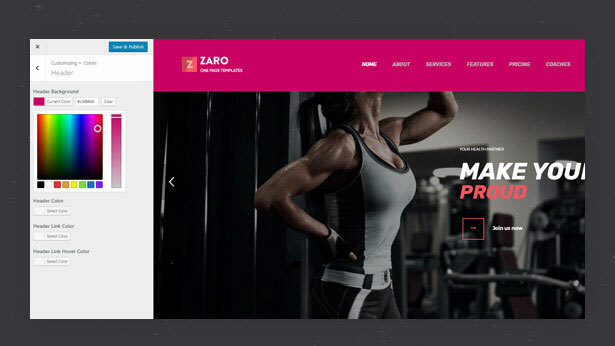 Some hours ago, we were happy to welcome Zaro – Creative Multipurpose Onepage WordPress Theme. 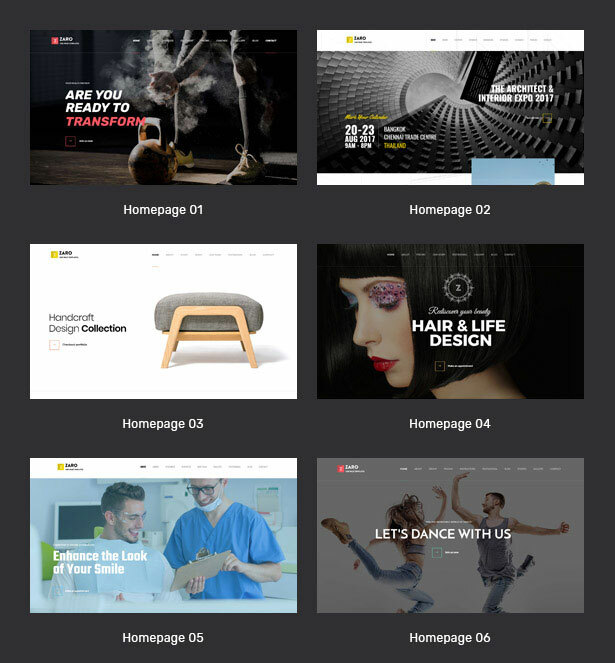 It is a clean, creative, multipurpose Onepage WordPress Theme. 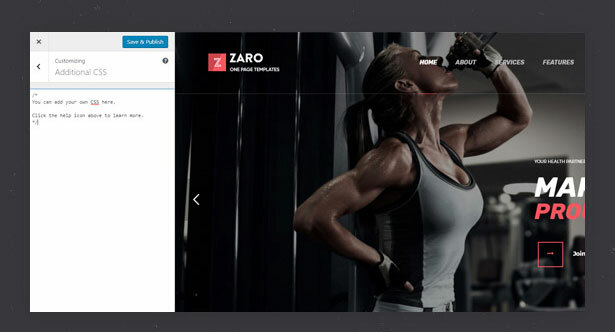 It is perfect for you to promote your product with many different kinds of business websites. 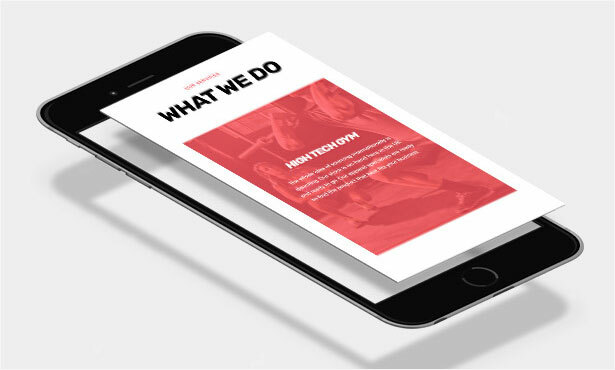 Now we have designed and developed this great one page with 6 specific unique concepts including Gym Club, Architect Expro, Handcraft, Hair Salon, Dental Clinic, Dance Studio together with Blog page, Detailed page, Single Post, Single Portfolio and coming soon pages. 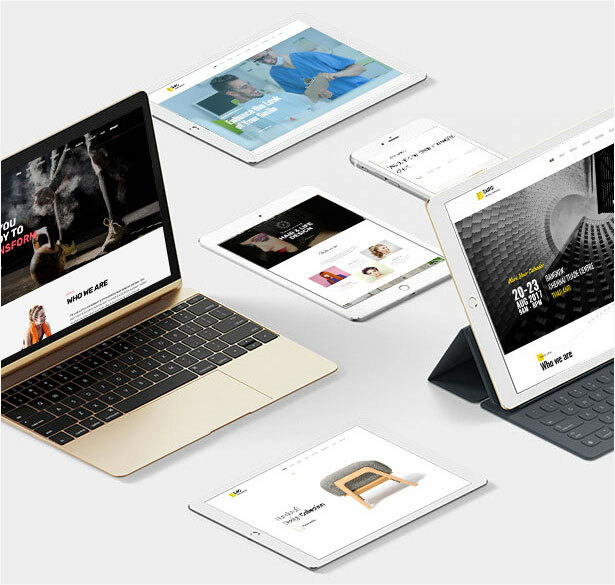 This great Responsive WordPress Theme is compatible with all modern mobile devices, well built in with the fastest page builder – King Composer together with clean designed with terrific attention to details, flexibility and high performance. 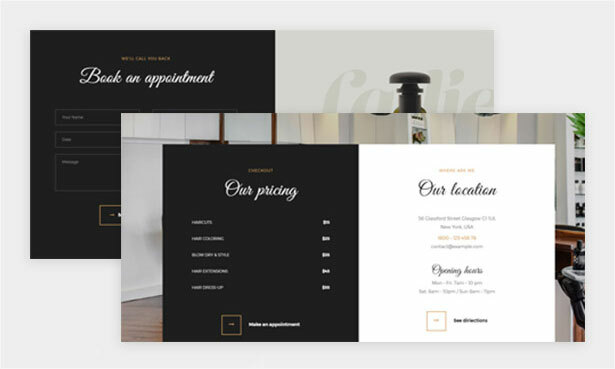 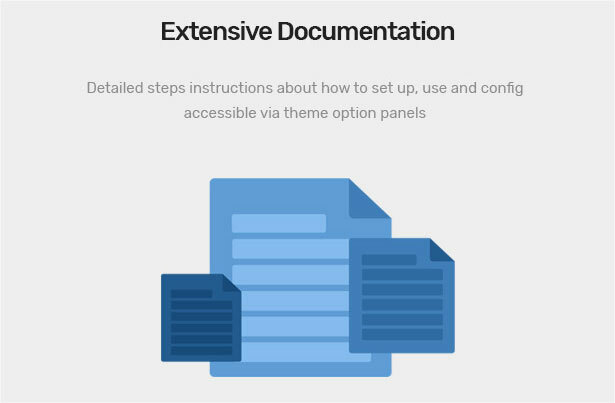 It is ultra professional, smooth and sleek with beautiful layout format for each concept. 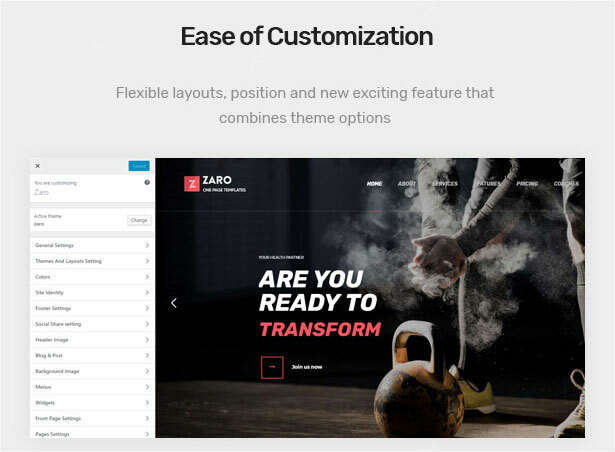 Moreover, Zaro is well supported with One Click Installation regarded as a magic tool ready to assist you to import data demo just 1 click. 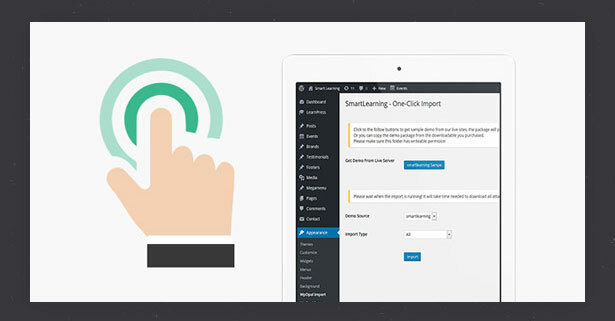 It is also completely User-friendly, Fully Responsive, Ease of Customization, SEO Optimizable and High Revolution.